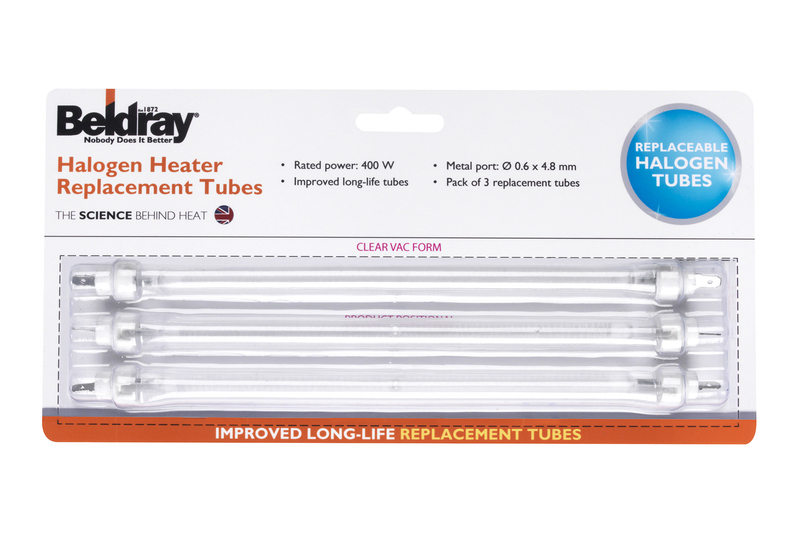 You can feel the benefits of halogen heating in your home all year round, with this Beldray pack of replacement bulbs. Measuring approximately 24 cm each, the tubes will fit perfectly inside your heater and are very easy to replace. Cleverly designed with improved long-life, the bulbs supply impressive heat and will last much longer, even with everyday use. Save money on your heating bills and use your halogen heater to wonderfully warm up only the room you are using, without wasting energy. Keep your family wonderfully warm with these Beldray bulbs for your halogen heater, radiating cosy warmth with the flick of a switch. 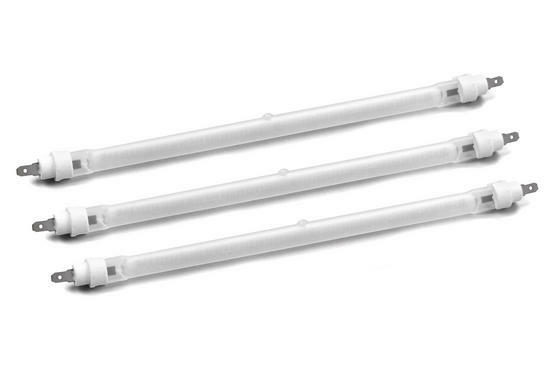 A set of three, these long-life replacement bulbs are high efficiency as well as energy saving, supplying heat wherever it is needed. The 400W tubes provide powerful heat and use infrared so you can warm a specific spot, to prevent wasting energy heating an empty room. Wonderfully easy to install, the replacement tubes effortlessly fit into place and are secured by clips, instantly ready to heat up. Make sure your halogen heater is always working at its best – keep some spare bulbs handy and your home will never be without warmth.